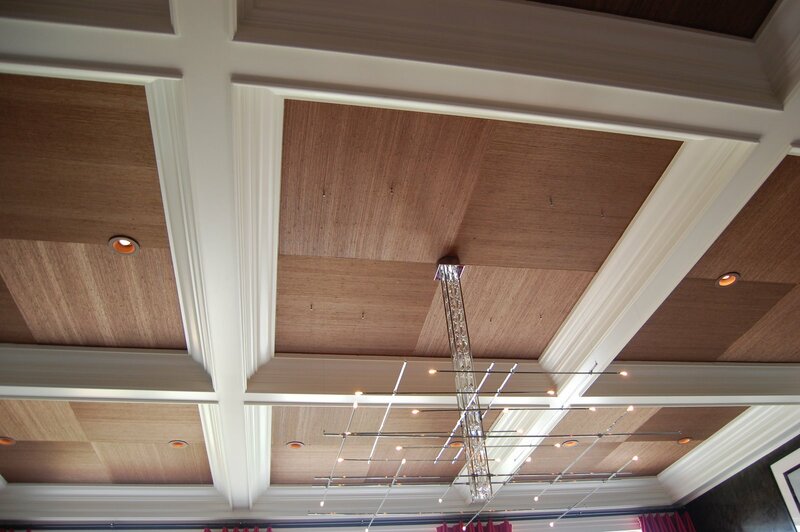 As we mentioned, adding detail to the ceiling is one of our favorite design tricks. 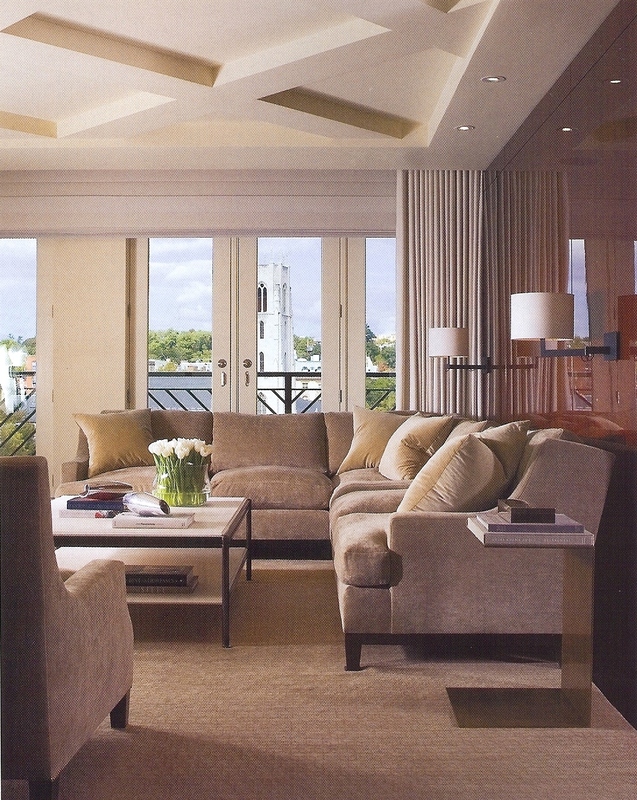 Ceiling details can help heighten a room or bring the ceiling down a bit so a tall room doesn’t feel so lofty. 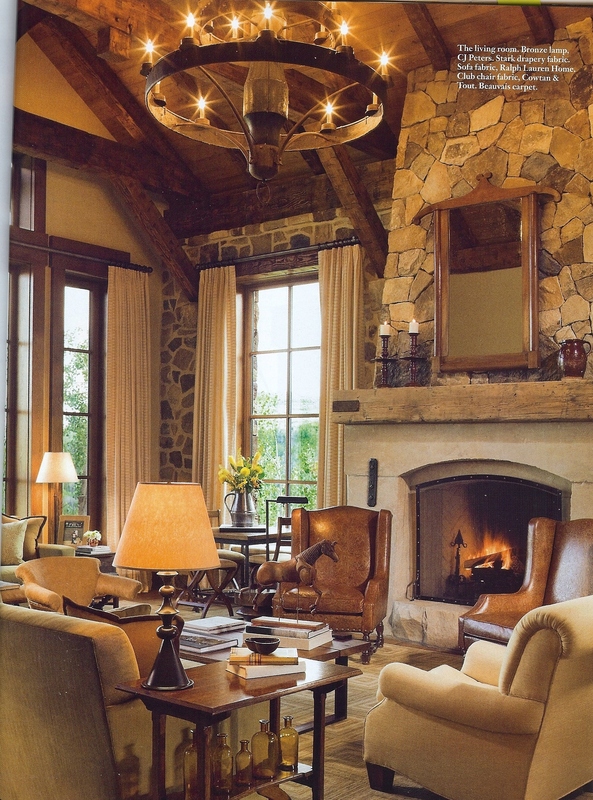 The next few pictures show how wood beams can help bring warmth and character to big voluminous spaces. 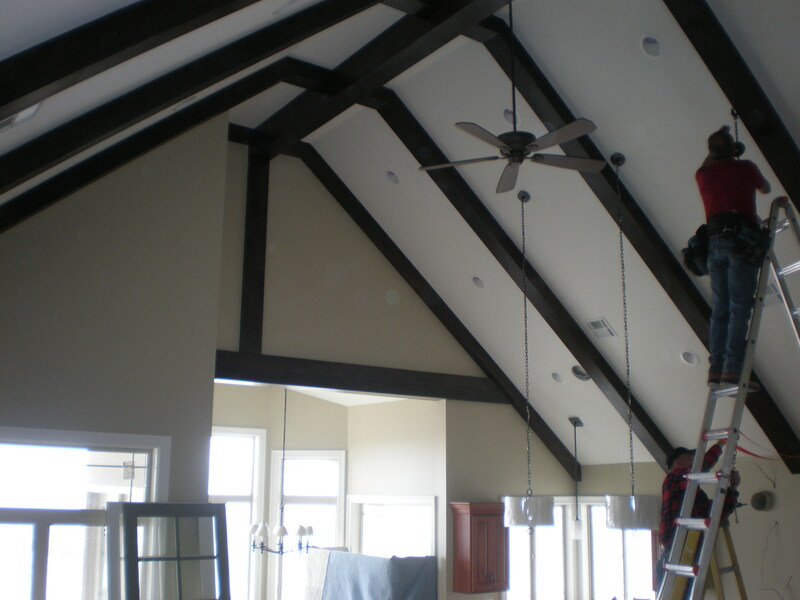 The warmth of the beams gives these rooms a cozy feel that might be absent without the addition of the beams. 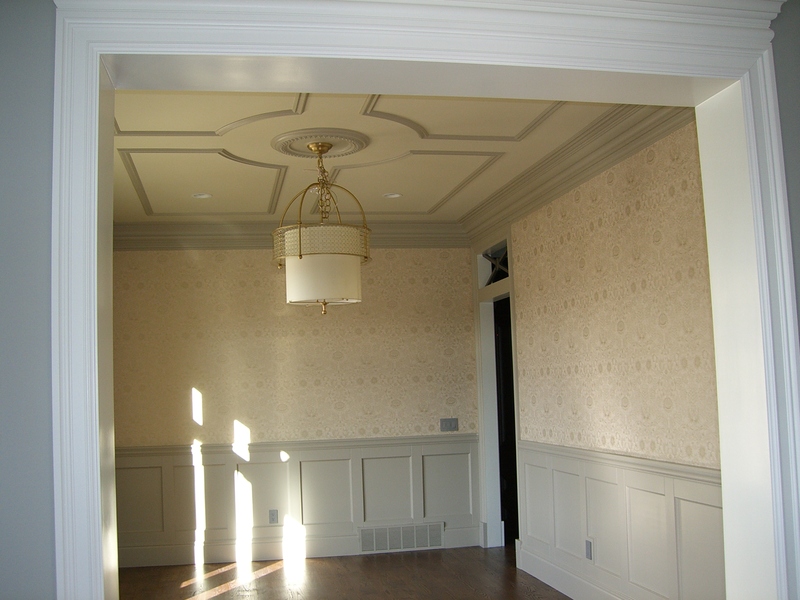 Design by Pamela Jensen with Medici Co.
Coffered ceilings are probably one of the most classic ceiling details. 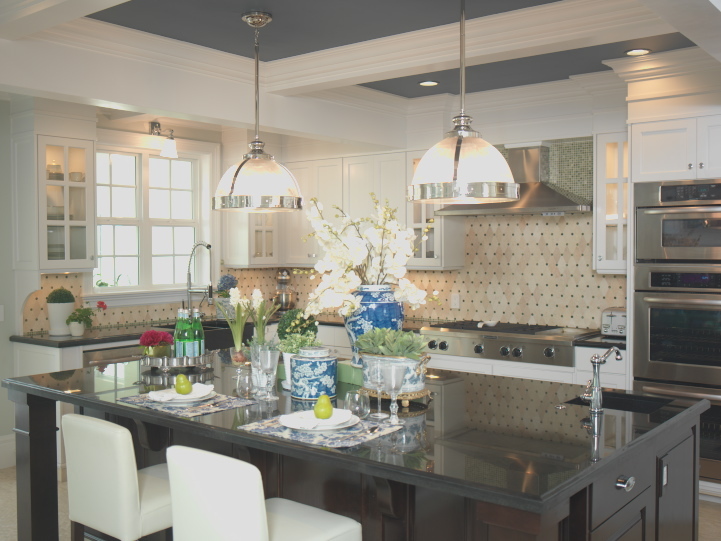 We suggest adding an accent color or great wallcovering into the recessed areas to really make the ceiling pop. 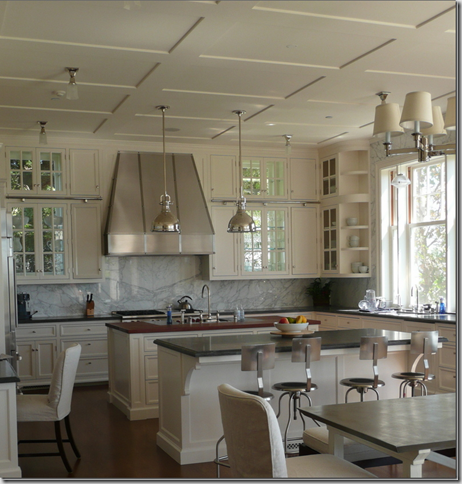 The blue/gray beadboard ceiling adds some color to an otherwise all white room and accentuates the height of the cabinets. There was a support beam running through this kitchen. 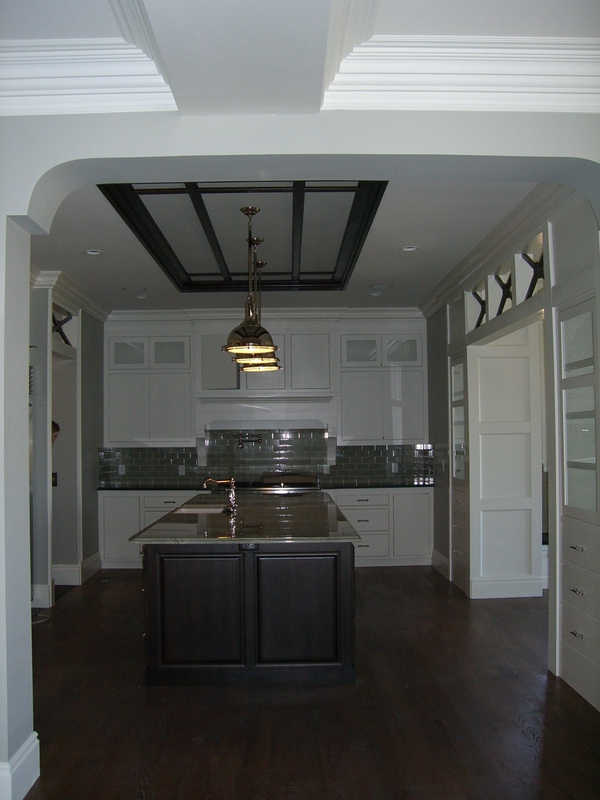 The addition of the coffered ceiling makes it a feature rather than an eyesore and the accent color highlights it even more. This is a fairly small room with 14′ ceilings. To bring the room into proportion, we added the paneling along the top portion of the wall and inexpensive MDF slats. Simple molding and a ceiling medallion dress up this dining room (the Morris and Co. wallpaper and Thomas Pheasant light help a bit too). The patterns you can make with molding are pretty limitless. 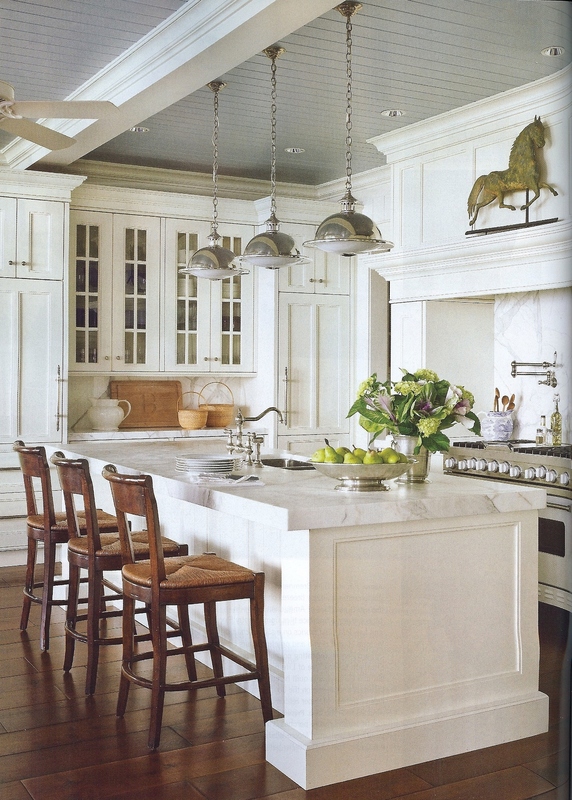 Do you love white kitchens but are afraid of it being too cold? The addition of some wood slats on the ceiling that tie in with the stained island help to warm up this classic kitchen. What’s your favorite ceiling detail? 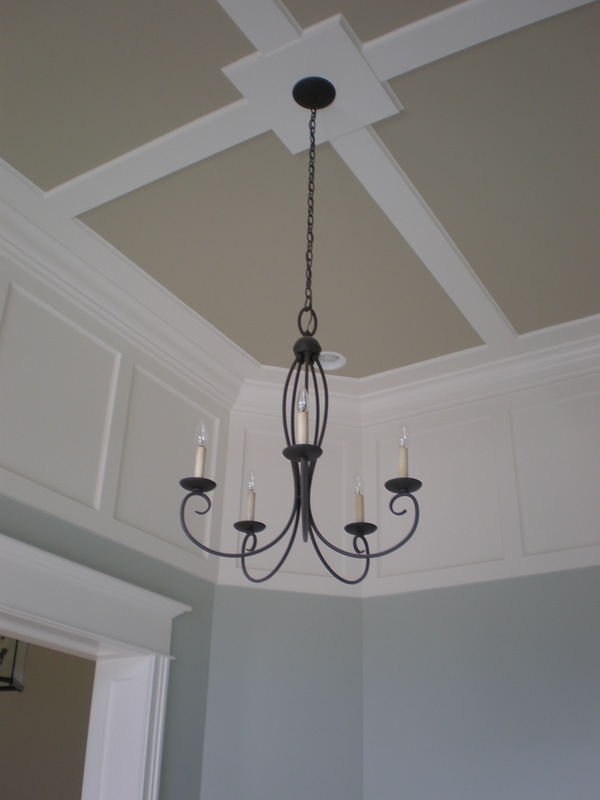 How about painted ceilings? Do you love them or hate them?